As part of the run up to the opening of QUAD, Derby’s new centre for art and film, a unique performance piece entitled ‘The17’ will take place on Derby’s’ Market Place on 22 August 2008. 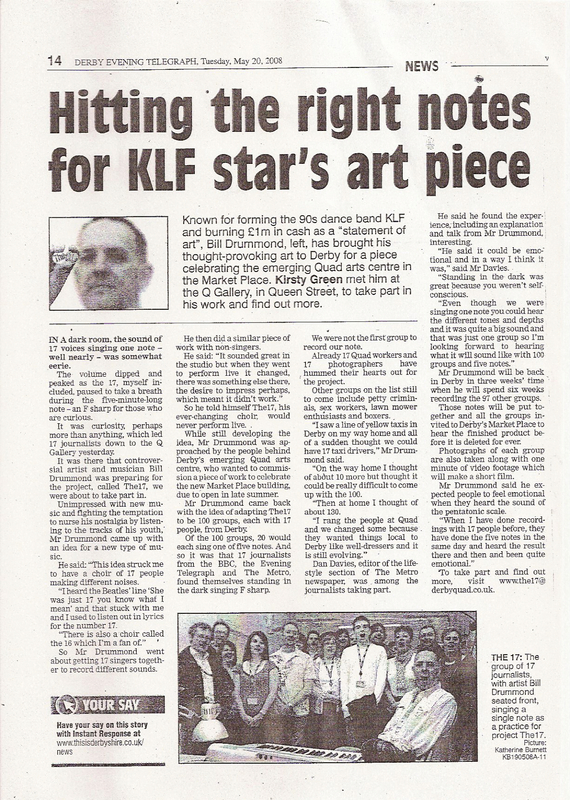 The performance involves 1,700 people from Derby and the local region, and has been created with QUAD by renowned artist and musician Bill Drummond. During six weeks over the summer, Bill Drummond and QUAD assembled 100 groups of 17 people from members of the community, and included groups of photographers, punks, pirates, hairdressers, Bach Choristers, Media Workers and MacDonald’s Staff. Each of the groups attended a recording session, making one note with their voices for five minutes, and these 100 separate recordings will be mixed together to create one huge piece of choral music. All 1,700 participants have been invited to the Market Place for the evening of the 22 August 2008, to hear the one and only play back of this recording, before it is deleted forever. 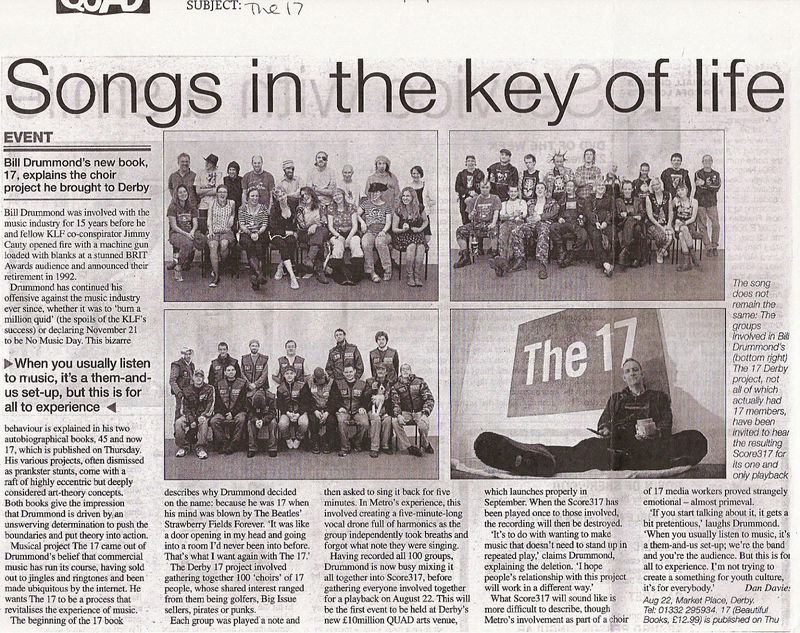 The only audience to The17 will be the singers themselves, so to hear The17 you have to have been part of it! The17 participants also had a group photograph and group video portrait taken when they attended the recording session. The17 photographs will be included in the first exhibition inside QUAD, which will be open from Friday 26th September, and will also be published in a special The17 book, which available from QUAD. The17 videos will be shown in QUAD digital screens and on the BBC Big Screen. « What makes a business successful?